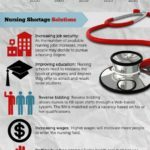 Worldwide, nurse staffing levels are impacted by the shortage of nurses, budget cuts, greater public demand for health care and aging populations. 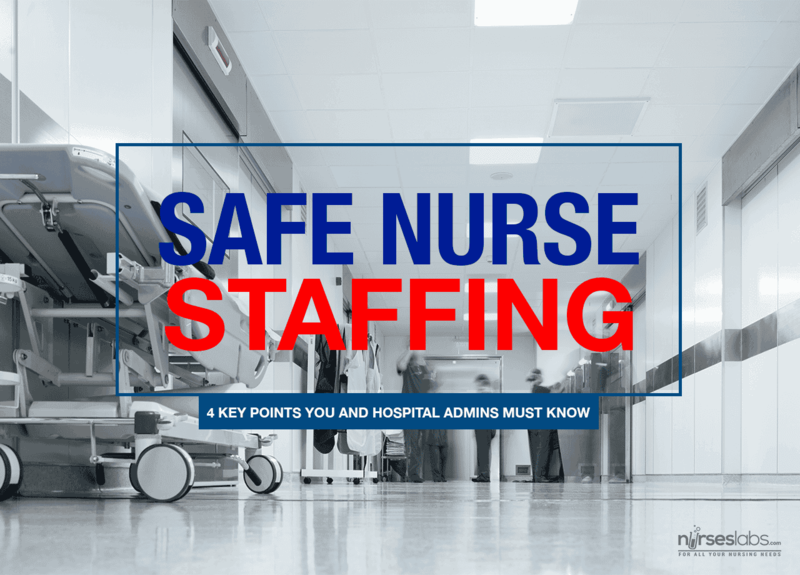 Safe nurse staffing has become a major issue in the nursing profession leading to extensive research studies, protests, as well as advocacy for appropriate legislation by major nursing organizations. Safe staffing levels allow for quality patient care, higher job satisfaction and retention of nurses and better overall outcomes for organizations. The following points about nurse staffing levels are supported by mounting research evidence in published studies across the world. Nurses are the ones who care for hospitalized patients 24 hours of the day and the nurse’s name on the patient’s chart means that she has full responsibility for the patient’s welfare and safety. But what happens when the nurse is caring for too many patients and stretched so thin that it becomes impossible to see everything she needs to see and be everywhere she needs to be? This not only places patients seriously at risk but also the nurse’s license. Numerous studies (1, 2, 3, 4) have correlated higher levels of nurse staffing with positive patient outcomes, decreases in the length of stay of patients, a lower rate of readmission and reduced patient mortality. This means that besides improving patient satisfaction, safe staffing levels also cut patient care costs. For us, as nurses, it also comes as no surprise that research links low staffing levels with a greater incidence of post-op wound infections, medication errors, poor pain management, pressure ulcers, urinary tract infections, pneumonia, falls and countless other adverse events which may occur during hospitalization. This is because nurses are the ones who spend the most time with critically ill patients and are usually the first to observe the early signs of possible complications. 2. A higher ratio of registered nurses improves patient outcomes. To lower costs, there is a tendency by health care organizations to reduce the ratio of highly educated registered nurses vs nurses in the sub-categories. Various studies have demonstrated significantly improved patient outcomes, lower mortality rates, fewer errors and a reduction in patients’ length of stay where there is a higher proportion of professional registered nurses in the nursing staff mix. Many nurses resign from their job with a specific employer, or even leave the profession, because of burnout and fatigue due to by inadequate staffing levels. Persistent short staffing increases the stress levels of staff and reduces their general well-being, causing more days of absence due to sickness. 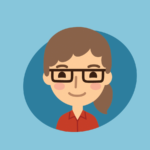 Levels of job satisfaction are low and this leads to high rates of staff turnover. The Australian Nursing Federation has reported that, since the state of Victoria enacted legislation for the adequate nurse to patient ratios, a large number of nurses have returned to the profession and student nurse recruitment showed a substantial increase. There is improved job-satisfaction amongst nurses and greater stability within the profession. While studies have suggested a nurse to patient ratio of 1:6 on average wards as safe and a ratio of 1:4 as ideal, nursing organizations such as the International Council of Nurses and the American Nurses Association (ANA) do not support legislated mandatory ratios. 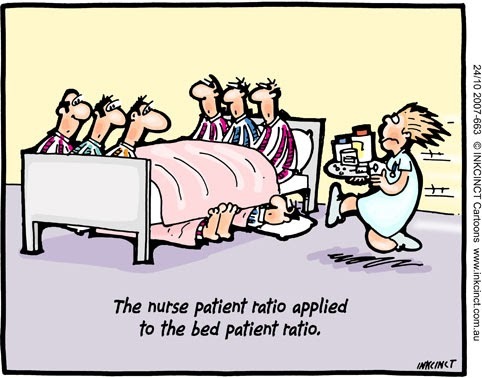 A single ratio could be dangerous because it does not take into account the unique circumstances and variation in patient needs in each unit or the necessary nursing skill mix. Organized nursing believes that staffing should be planned specifically for each unit, with input by the registered nurses who provide direct care. 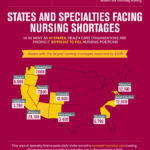 So what should legislation for safe nurse staffing provide for? The ANA believes that hospitals should be required to develop valid, reliable, unit-by-unit nurse staffing plans. The proposed US federal bill makes provision for hospitals to compile staffing plans which provide for sufficient registered nurses in each unit and on each shift. Planning must consider the unique characteristics of the patients and of each unit, as well as what is needed to provide quality patient care. A nurse staffing committee which is responsible for implementing the plan should then be established at each hospital Health care establishments can incur monetary or other penalties for violating the requirements of the Act. Provision is also made to protect whistleblowers, who can be either employees or patients, against discrimination or retaliation for airing grievances and complaints relating to the staffing requirements. What can you do to promote safe nurse staffing? Every nurse can act as an advocate for safe staffing levels and healthy working conditions. 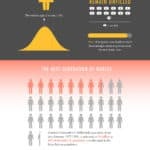 Know the facts and educate people you come into contact with. Through discussions, e-mails, and reports you can lobby leaders in your working environment and within your social circle as well as political representatives and the press. You can arrange talks to community groups about how safe nurse staffing affects everyone. Nurses are by far the largest group in the healthcare workforce and reduction in nursing staff is usually the simplest way for administrators to balance the budget. This may be cost-effective in the short term but in the long run, it is damaging to the organization, nurses and the community. We can, however, use the same strength in numbers, and the trust which the public has in the profession, to raise our voice to turn the tide.